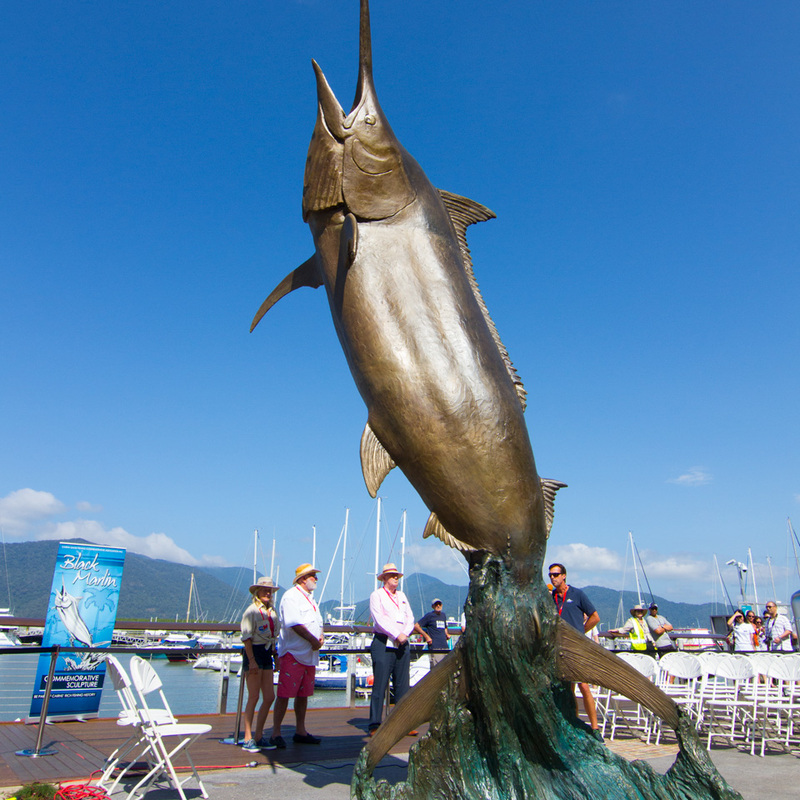 The Cairns Game Fishing Commemorative Association Inc. worked tirelessly to raise funds to erect a life size 1,100 pound BLACK MARLIN sculpture on the Cairns waterfront adjacent to the Marlin Jetty. 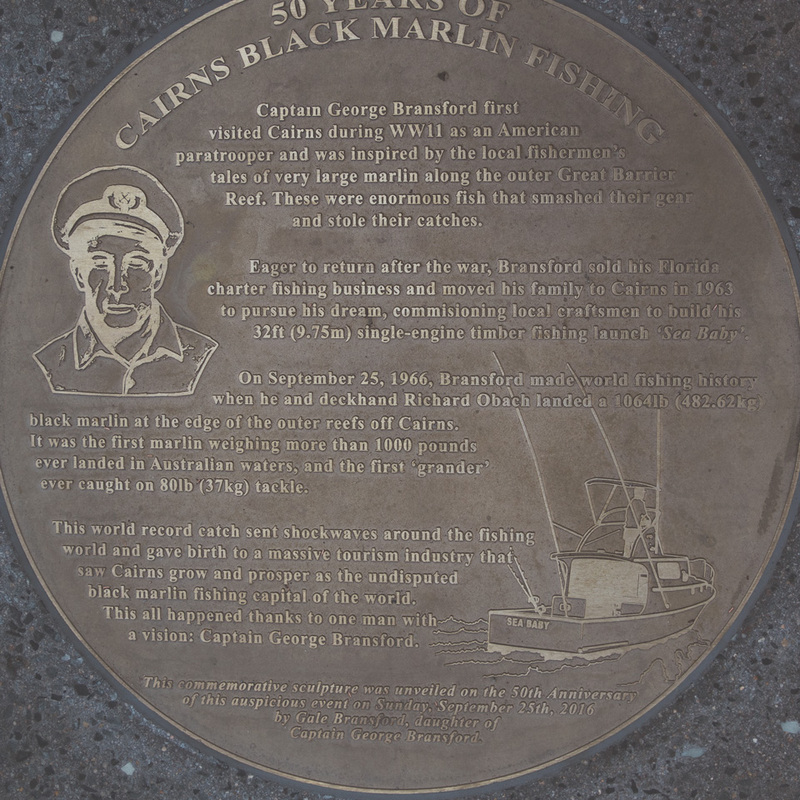 This sculpture recognises the history and the significant contribution that the black marlin and game fishing has made to the region over the past 50 years since George Bransford and Richard Obach weighed the first 1,000 pound marlin in Cairns. 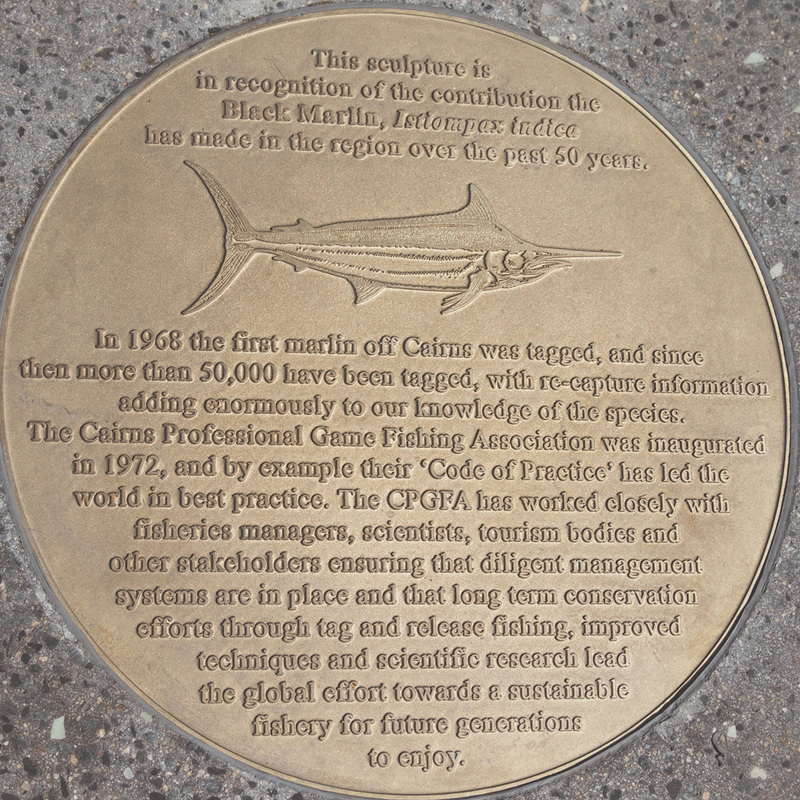 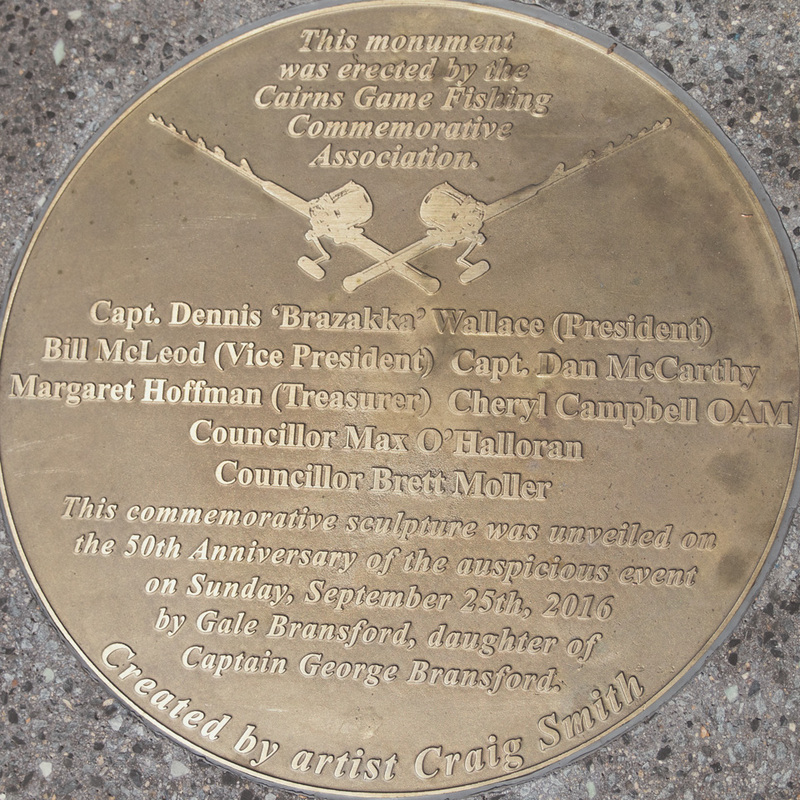 The sculpture was unveiled in conjunction with the Cairns Black Marlin 50th Anniversary celebrations in September 2016. 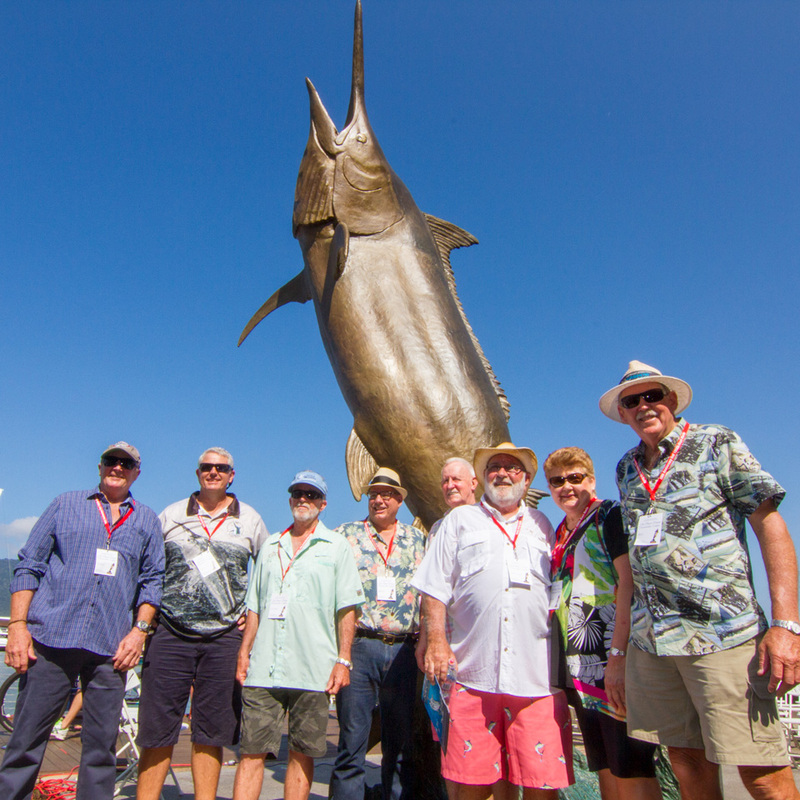 IGFA President Rob Kramer and Marine Artist Guy Harvey supported the project. 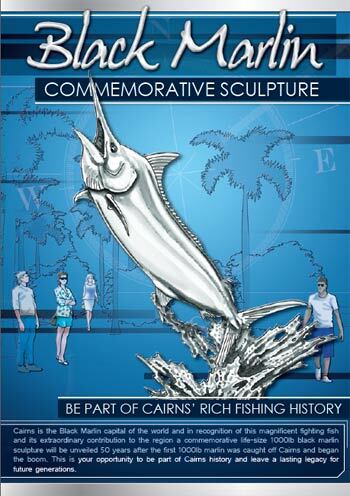 This sculpture will be an icon of the Cairns waterfront and will be a lasting legacy to a fishery which has contributed significantly to Cairns and North Queensland in the past, and by increasing the public’s awareness, will also contribute to the conservation of the species for future generations. 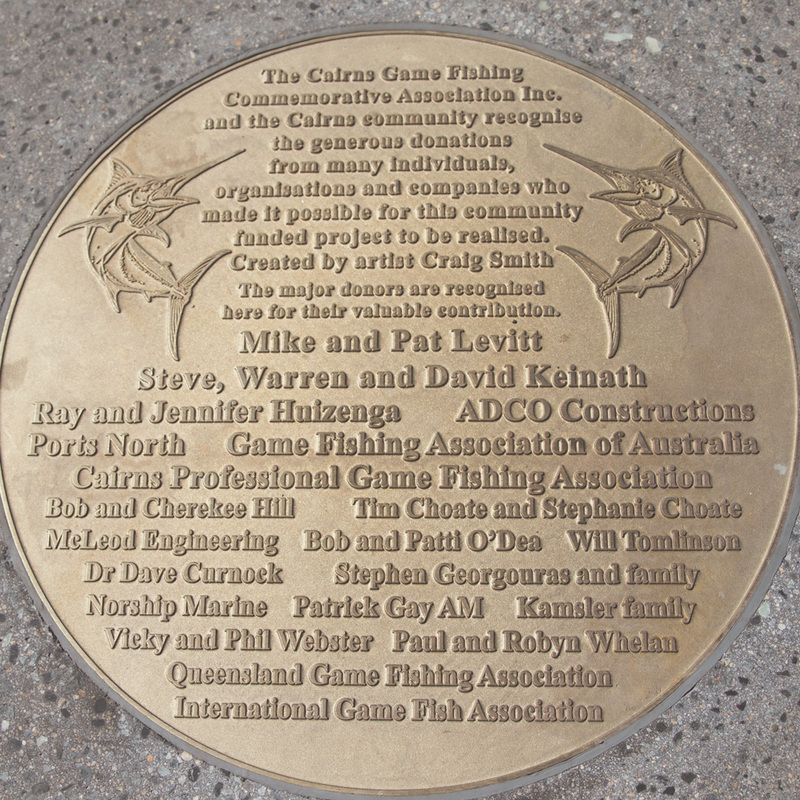 Please see photos from the unveiling of the sculpture below.